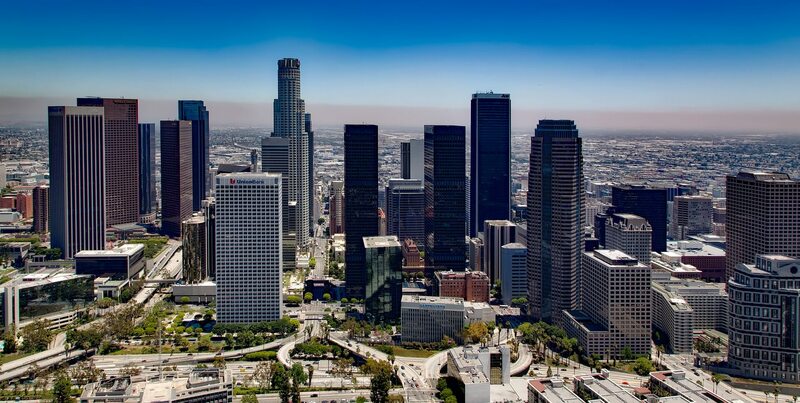 Los Angeles is located west coast of United Stated home to approximately eighteen millions people. This big city is anywhere from Santa Monia mountain to the Pacific Ocean. Los Angeles’ sunny sunshine and entertainment industries open new people and ideas to expand the city’s potential to the world. This unique characteristic became a very attractive city to dreamers from all over the world. Many of these people actually made their dream reality. The people who made their dream came true contributed their wealth to the city to help L.A. one of the greatest culture capitals of the earth. Walt Disney Concert Hall and John Paul Getty Museum are some examples. The business happens in Down Town L.A.
You can find great cultural architectures in L.A. Down Town. And it is also the birthplace of the city. Olvera Street is one of the oldest locations in DTLA. You can see the color and atmosphere of Mexico which is the city originated from. When you go across the road from Olvera st, you will enter the historic union station. When you go inside, you will feel like you time traveled in the past and experience the great architectural designs and historical building interior decors. The station has been used for many Hollywood movies such as Perl Harbor and Blade Runner. If you go down a few blocks in the south, you will reach Little Tokyo. As the name suggests, many Japanese business and temples are located in this area. It is also a Japanese historical area as well. It’s been said that famous California roll was invented by a sushi chef Ichiro Mashita, sushi chef at the Tokyo Kaikan in Little Tokyo. The sushi roll consists of crab meat and avocado with sushi rice. But Unlike traditional sushi roll, Nori seaweed was located inside, and the sushi rice is exposed outside. 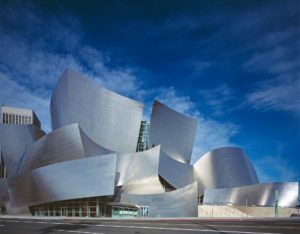 Located West side of DTLA, Walt Disney Concert Hall catches its stainless steel sheet metal design. This one of the kind concert hall is the home of Philharmonic Orchestra. Drive away from Los Angeles Downtown and head to the further west. 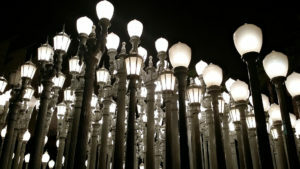 You will find a popular sightseen spot and art visit, Los Angeles County Museum of Art. With over 100,000 artifacts, they are from various ages from the classical period to the latest street art. The famous street lights have inspired many photographers as well as casual travelers and locals. It is located right next to LACMA. The museum offers very different kind of pieces from the past. It exhibits preserved mammals, insects and plants. While the museums present valuable artifacts, The west side of Los Angeles attracts a different kind of value to visitors. 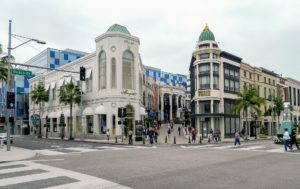 Rodeo Drive is the world most expensive three blocks of real estate for shopping. While you can burn serious cash here, you can visit and do window shopping. You can smell the luxury lifestyle here. We cannot talk about Los Angeles without mentioning iconic Hollywood Chinese theater and walk of fame. This is the center of the world entertainment industry. A wild side of L.A., West Hollywood can give you the sense of life in L.A. You can enjoy shopping at Melrose for the latest and unique collection of L.A fashion. If you go to Sunset Strip, you will find many cafes, bars, restaurants and the world famous comedy house.